Darn it Fairy Tail, You should’ve led with THIS. After a somewhat rough start, I’d say that this week was the real beginning of the latest and final season of Fairy Tail. If last week was all about the show exhibiting the franchise’s flaws, then this week was most certainly about showcasing the strengths. And to those of us like myself, who have nostalgia tinted glasses with regards to the franchise, this week finally felt like we got back to where we were two years ago. 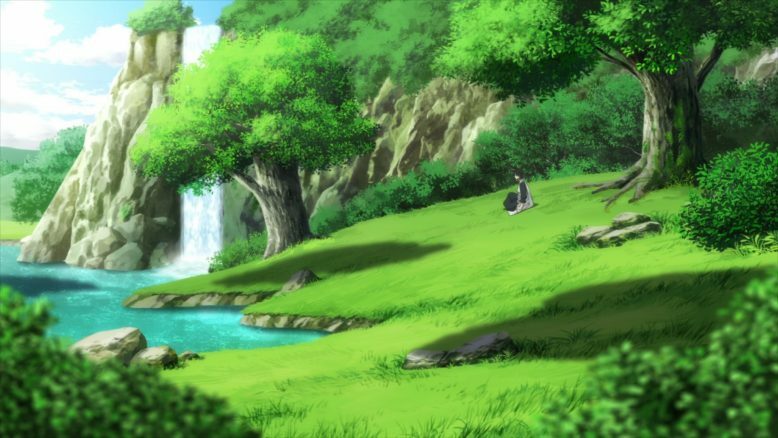 In essence, there are three major qualities, in my humble opinion, that make a Fairy Tail episode particularly exceptional; Interesting lore reveals, a focus on the great cast of characters and some riveting good emotional moments. And generally speaking, each of Fairy Tail’s best arcs and episodes have featured these elements to various degrees, with one element taking the spotlight and just kind overpowering everything else with how well its handled. Interestingly…. In this particular week’s case, the episode actually didn’t do the norm and gave us a nice palatable dose of all three at once. And man, does it work well. I mean, Its something else when clever exposition with some earth shattering twists can work in harmony with a really great feel good character moment in the same episode. This balancing act is not something I think we’ve seen this show or franchise do before. So, what exactly made this episode feel so awesome? Well, it had do with two major highlight events, both split between the A and B parts of the episode. The first part, was about a character that we actually are fairly familiar with but know very little about; the series antagonist Zeref (Dragneel). To call the reveals regarding Zeref, his backstory and his real link to Natsu earth shattering, is well, understating things considerably. We finally, after 283 episodes, have the story behind who Zeref actually is and how he became the way he did. 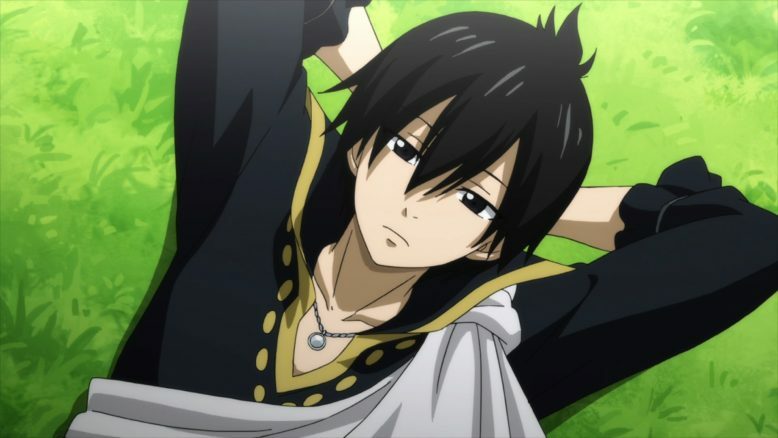 Even Fairy Tail Zero, which focused on Mavis and the formation of Fairy Tail itself, only cursorily included Zeref into the mix. 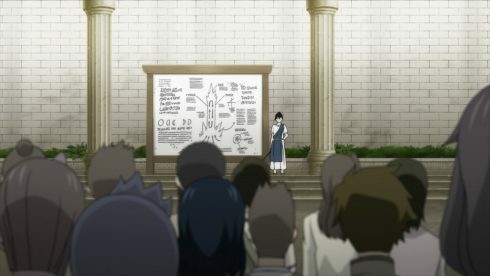 And leaving Fairy Tail the guild itself aside for a second, its worth noting that Zeref himself has had some kind of connection to literally every major aspect of the show’s universe. So for a character that has had such a large footprint, its kind of interesting that the show and the story went the route that it did when revealing his origin story. There wasn’t some big Fairy Tail Zero style mini flashback arc, but rather Zeref himself kind of narrated and told his story, while essentially talking to himself. Well, to be completely accurate, he was talking to Natsu (who wasn’t really there), but I think at this point its quite clear that Zeref does have a few screws loose, to say the least. 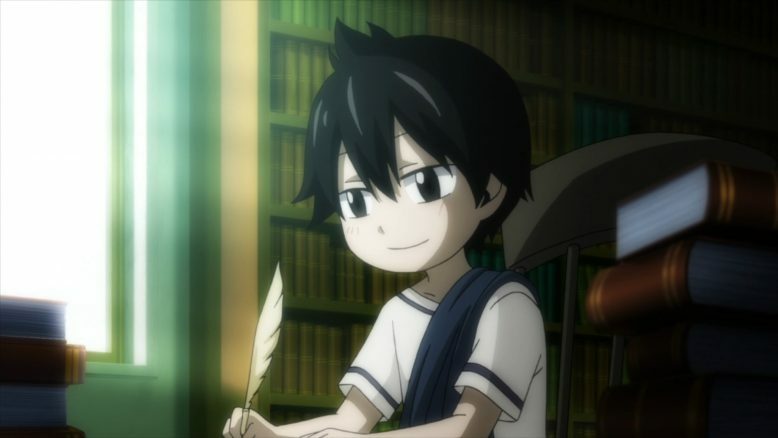 All work and no play makes Zeref a happy boy! 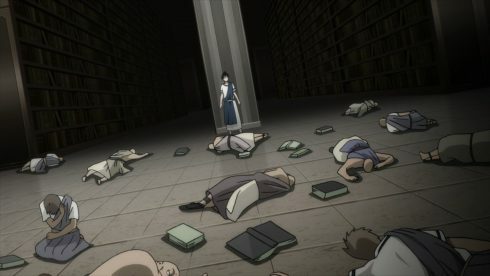 So what exactly was Zeref’s story? Well, it turns out that Zeref, as a young child lost his younger brother and was thus driven to research life and death as a result of his grief (which didn’t end all too well for him). Its quite a well told story, because at first, it starts off with Zeref kind of lying to himself and suggesting that the reason he did the research that he did was to “understand” why his brother died. Of course, as we go through the story, and see Zeref spend years researching taboo topics (and come up with familiar concepts like the Eclipse Gate) we start to see the real issue. 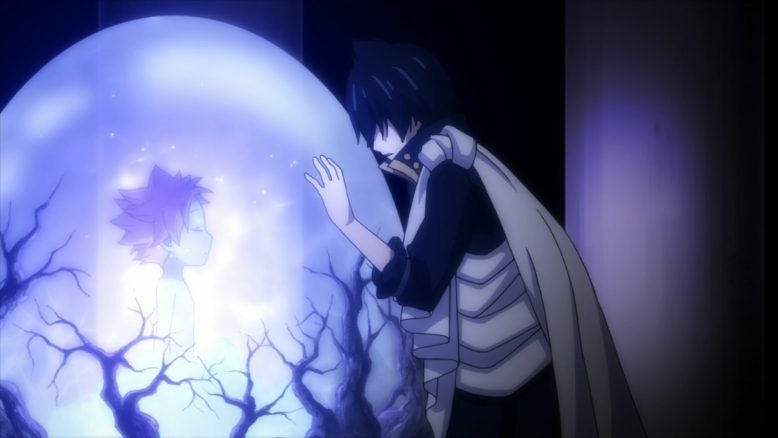 Its a conversation between Zeref and one of his mentors, that ends up revealing the true issue: Zeref actually wants to find a way to revive his dead brother. As said mentor reveals the uncomfortable truth in a rather heated conversation, the exchange triggers Zeref’s first instance of the manifestation of his powers and curse. And The curse in question, Zeref ascribes to a deity known as Ankhselam, who is apparently this universe’s god of death. Its in continuing to study and mess with the concepts of life and death, that Zeref seemingly angers this deity and in turn gets a pretty scary curse; Ending life around him the more he cares for that very life itself. This power is something we’re certainly familiar with, as we’ve seen Zeref kill things around him before. What we didn’t know, however, was why or how it actually worked. 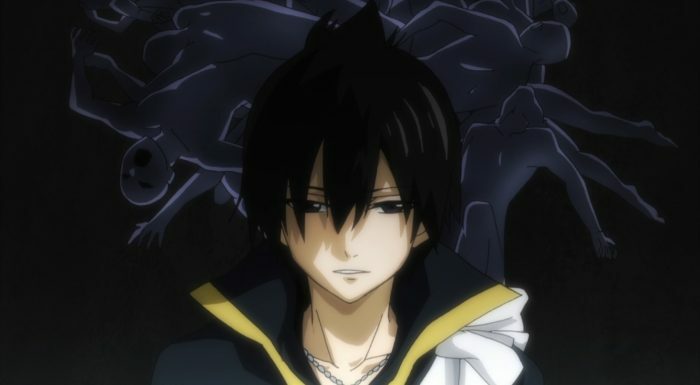 It seems like Zeref’s obsession with life is rewarded with him seeing the thing he hates the most, which is death happen all around him while he himself is unable to age or die. Now, what’s interesting here, particularly for the Fairy Tail universe as a whole, is that with Zeref’s powers and link to Ankhselam, comes an element of inspiration from the Greek and Roman mythologies and cultures. The whole idea of a vengeful, spiteful deity is something that you see quite commonly in Greek Mythology. 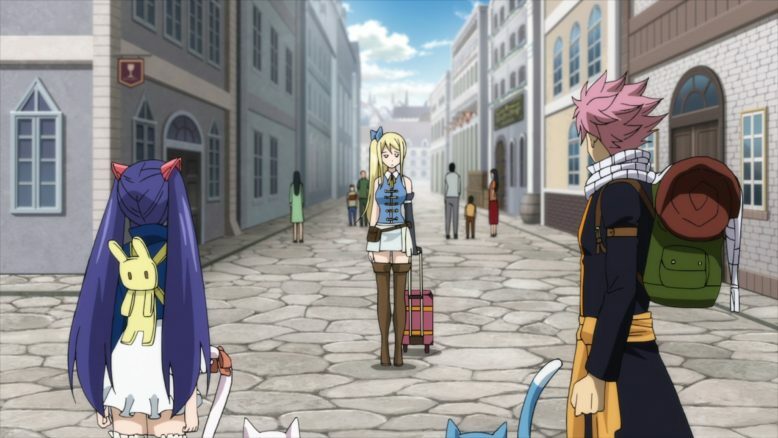 But beyond that, both Zeref and the people around him are wearing clothes reminiscent of Roman clothing that we see prevalent in popular media today. 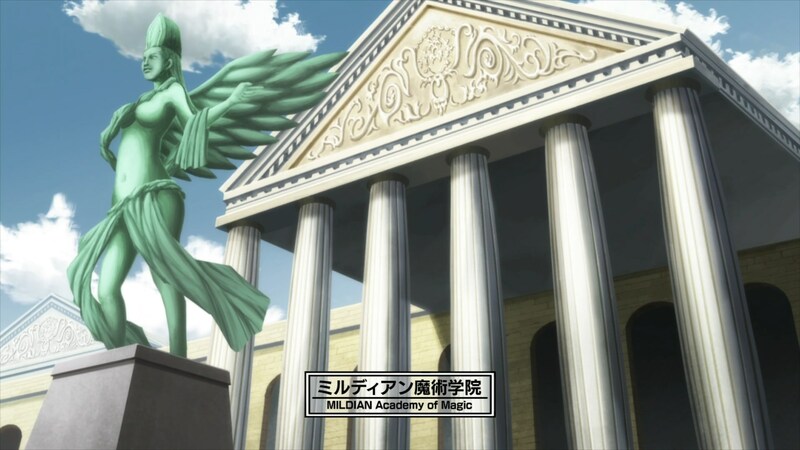 And of course, even the architecture we see is a mix of Greek and Roman as well. And I think that’s notable, because it continues the tradition of Fairy Tail having a sort of unique identity consisting of mishmashed cultures and inspirations. Now, one other interesting thing is that while Zeref certainly blames Ankhselam for his power, we never actually see the deity itself. It very well could be that Zeref was punished for his hubris of playing with life and death, but it also could be that the power itself was all within him and was just triggered by the conversation he had with his teacher. We don’t know, and its pretty much left up in the air as to what exactly the true nature and origin of Zeref’s power or CURSE really is. With Zeref concluding his own story, we get another major big reveal for the franchise, and its a big one. The reveal? How Natsu himself was created. And learning this information at this point? I certainly wasn’t expecting it. Plus, the actual reveal put the facts into place in a way I hadn’t thought of. Originally, I had thought that Zeref had created Natsu from scratch, but it turns out that Natsu was created from the corpse of Zeref’s younger brother (the one that died and started his whole descent into madness to begin with). So contrary to my earlier theories of Zeref being Natsu’s dad, he’s actually Natsu’s older brother, in a manner of speaking. 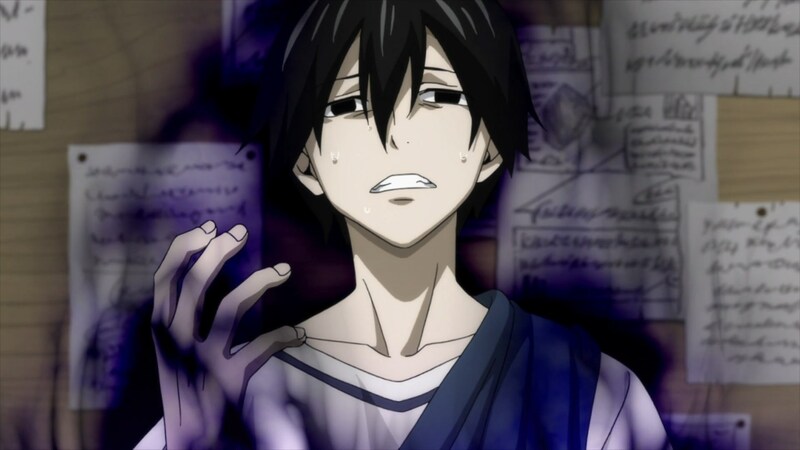 Zeref – He just wanted to be an Onii-chan. Which, certainly puts a different spin of the dynamic between the two. If nothing else, it puts Natsu at a more equal level to Zeref, as they’re both kind of part of the same family and I assume share parents. It remains to be seen if Natsu is actually Zeref’s brother revived, or if he’s just someone that inherited the body itself and is his own entity. But I suppose that will be revealed at a later date. Speaking of which, there’s still some big questions left unanswered that Zeref kind of teases as he concludes his little musing session. Both Natsu’s encounter with Igneel and Zeref’s connection to Mavis are left unaddressed, with Zeref hinting that he’ll tackle those at a later date. 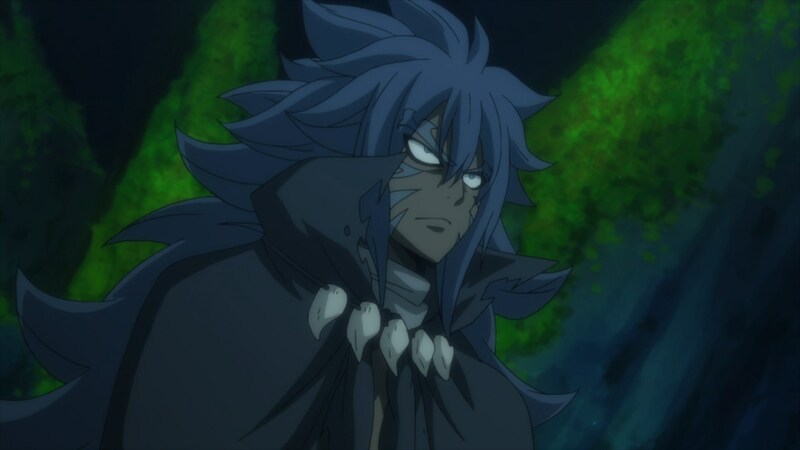 Acnologia is quite the hobo in human form, isn’t he? The last order of business then, for Zeref is go visit the other big antagonist of the franchise, Acnologia. We see Acnologia, for the first time in his human form (unless you saw the movie that came out last year, and were spoiled like me). And its here that Zeref makes a big declaration, that he’s neither on the humans side or Acnologias. Instead, Zeref promises Acnologia the one thing he’s been craving, which is a big challenge. And of course, there’s that awesome line of setup that Zeref says, where he alludes to a big battle between a Dragon (Acnologia), An Immortal (himself) and a Human (Natsu?). All in all, I’d say this first half of the episode really answers some big questions and mysteries that have been hinted at as early as the first series. What I like about all of this, is that the show spends some time and answers just ENOUGH to tide us over before we get the next set of answers. 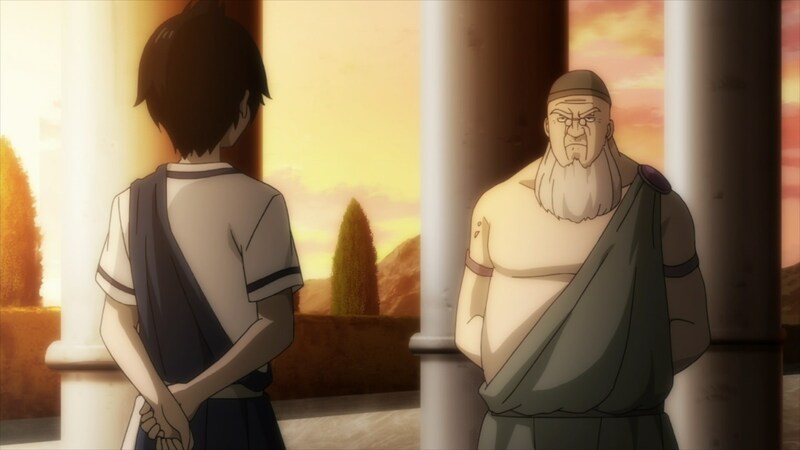 There’s still some mystery left, and some big and important details for the show to explain and show, and so this little scene with Zeref and his retelling of his life story is a nice way to both push the overall franchise story forward and build hype for what’s coming next. Now, if the first half of the episode is focused on the macro level of the franchise’s story, then the second half takes a much more intimate, micro level approach. 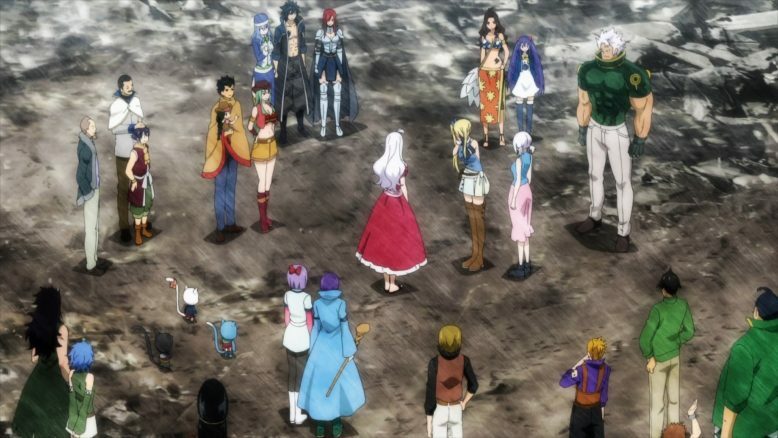 Despite the rather weak reunion between the core members of Fairy Tail’s A team last week, I think this week did a much better job of selling the emotion of the Fairy Tail guild coming back. I also will state, that I was relieved to see the show address a particular issue that’s been bugging me since the second series ended. I never quite understood how Fairy Tail’s various members went along with Makarov’s insane notion of disbanding the guild. It was nice to flash back to the actual moment where he did disband it, and to see almost every in the guild oppose and fight against the idea. 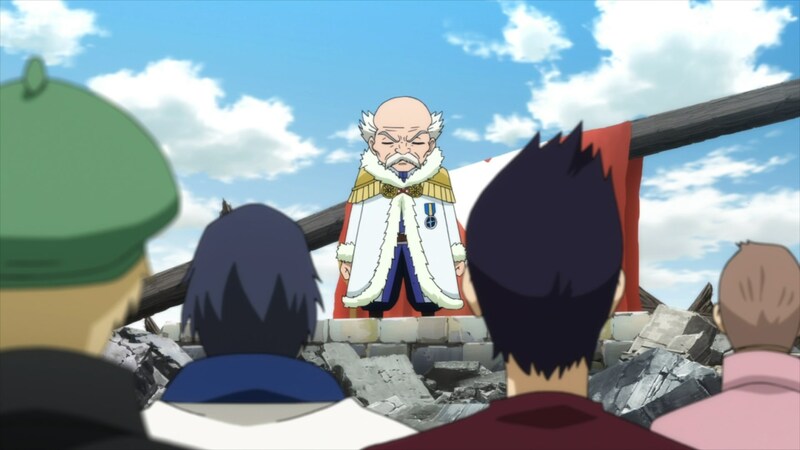 I still think that the guild could have and should have continued on with Makarov, (and some people even suggest that Makarov himself leave and let the guild continue on), but I suppose Makarov’s big declaration just after the big Tartaros battle was the last straw that broke the camel’s back, in terms of the guild’s morale. 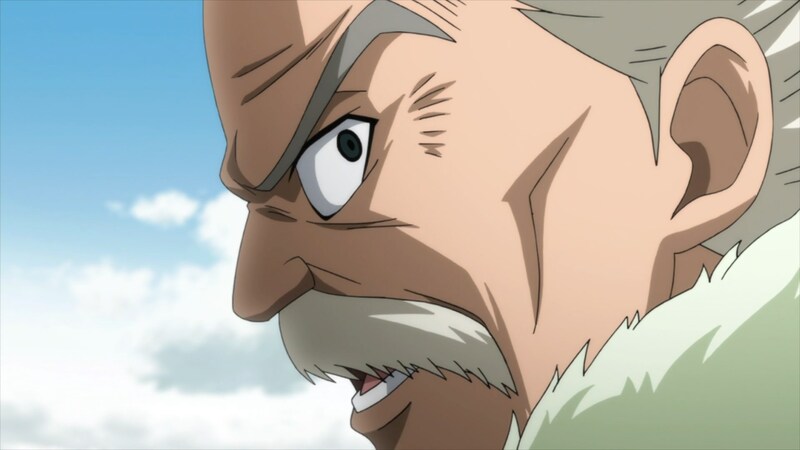 Makarov – Kicking his battered and bruised guild members when they’re down. This was a group and a family that had just faced and come out of their biggest battle with some serious losses and pain. What they needed, was someone to boost their morale, to help them get back on their feet. Natsu had already left, and Makarov instead of picking everyone up, just kicked them when they were down. Its no surprise then, that the guild just disintegrated after that. That’s too much for any group to take, even ones as tight knit as Fairy Tail. And that also solved the whole idea of Natsu coming back and basically gathering everyone together. Everyone WANTED to be together, it was just that no one was brash and brazen enough to just force through and break that wall of awkwardness that Makarov had created. Which honestly, puts my liking of Makarov into seriously low levels. I like how the guy raised all these kids into adults, and how he even picked up strays like Gajeel and Jellal, but I do believe that he abandoned all his kids and the people that depended on him, when they needed him the most. I’m not sure what Makarov’s reasons are, and I’m sure the whole secret of Fairy Tail and Mavis is pretty horrible, but I still believe that he should’ve trusted and ASKED the people under him about the carrying the burden, rather than just deciding for them. In any case, it doesn’t matter because Fairy Tail’s young generation are all coming back together anyway. And I’ll admit it, seeing Lucy break down in tears of happiness from finally getting to see her friends (who are more like family to her) was a real nice and emotionally heart felt moment. There’s just something beautiful about seeing a group of people all come together, care for one another and feel the same way. The relief that Lucy felt? The joy that the entire guild felt at being back together? Its contagious and I’ll admit that I myself teared up a bit too. Sometimes Happy Endings do happen! It was nice seeing all the characters back again, and the little banter as each of these familiar characters returned, definitely built up to something big. I like how each thing a character said both contributed to the growing swell of emotions and also elaborated on some little plot details organically as well. I loved how even things like the Cellphone lacrima, was something that Warrod actually built, and it echoed the idea that Fairy Tail was pretty much still loosely connected, even if they were kind of apart at the time. Between the guild coming back together, and the Natsu raising the flag, I’d say the episode crescendo-ed into a rather satisfying ending. And I feel like this episode did a great job of righting the ship that I felt had veered off course. This is what Fairy Tail should feel like, exciting, mysterious, heartfelt and well… Satisfying. This episode I think accomplished more than the previous six episodes combined, and I kind of almost wish that the show had opened up with this episode from the get go. 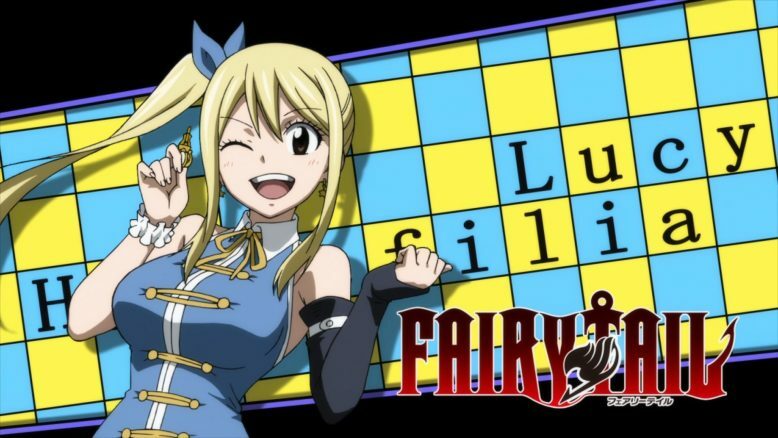 In any case, I suppose its just great to be excited and to be enjoying Fairy Tail again. I cannot wait for next week, and that’s something I’m just glad to be able to say again.